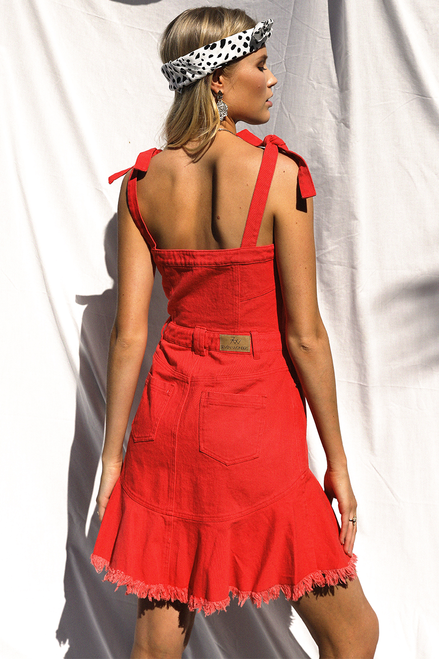 This denim dress is a must have in your wardrobe! 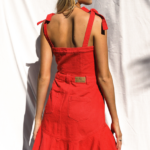 It features a freyed edge detailing, frill hemline, centre front zip in metal, pockets on the sides and at the back, adjustable tie straps and five button closures at the front. It comes in White as well!